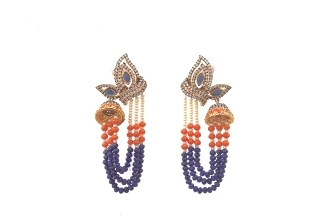 These beauties are delicate yet unique earrings are the perfect combination of peach/orange, blue and white. So much detail goes into this earring. You have to see it to believe it.